Just as sportspeople require targeted exercises and strength training on top of their practice, so too do musicians need to look after their bodies. One can appreciate the demands we put on ourselves as musicians when we experience tension, overloaded muscles and/or pain. 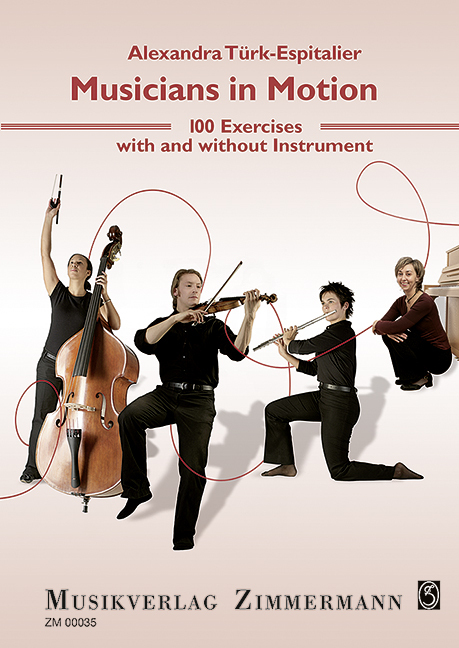 This book is aimed at active instrumentalists regardless of their playing level and provides solutions for all those who want to improve their endurance and performance on the instrument. These solutions will help to prevent problems and pain while playing music. The focus of the book is on practical exercises, but theoretical foundations are also addressed. The book is designed to help you prepare for the demands that playing music can make on your body. It helps you to employ all resources and possibilities in order to remain healthy and to perform at your peak condition. Alexandra Türk-Espitalier is a flutist, physiotherapist and lecturer at the University of Music and Performing Arts Frankfurt am Main.